Batumi is the summer holiday capital of Georgia, located on the coast of the Black Sea. With a population of more than 152,000 people, it is a bustling tourist destination boasting wonderful sights. Batumi is the amazing opportunity to enjoy the Georgian bliss from a seaside resort. Popular attractions include Batumi Boulevard, Gonio Fortress and Batumi Botanical Garden. Cheap flights to Batumi are now available for a limited period of time, so get ready to explore this beautiful city. Batumi is the home of Batumi International Airport (BUS), which is a 10-minute drive from the city centre. 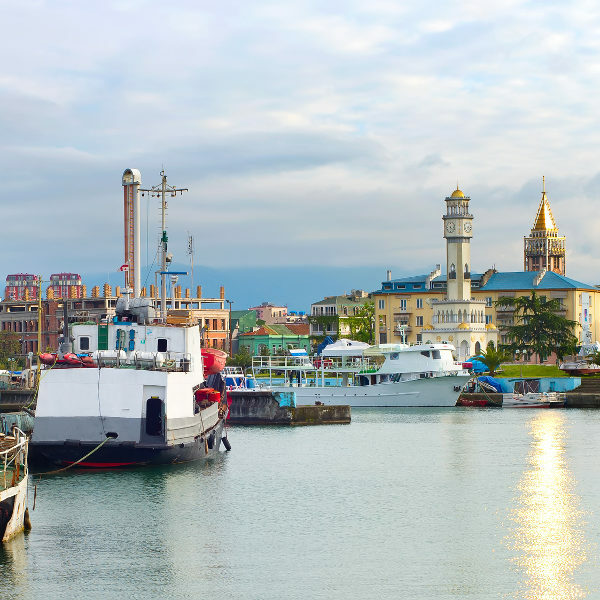 Batumi Port is truly home to spectacular buildings and additional attractions. Tourists will have the pleasure of taking a scenic walk, or enjoying the comfort of restaurants with magnificent sea views. Aerial views of Batumi’s breath-taking natural scenery can be viewed from an aerial tram. This city is sure to surprise you with all that it possesses. 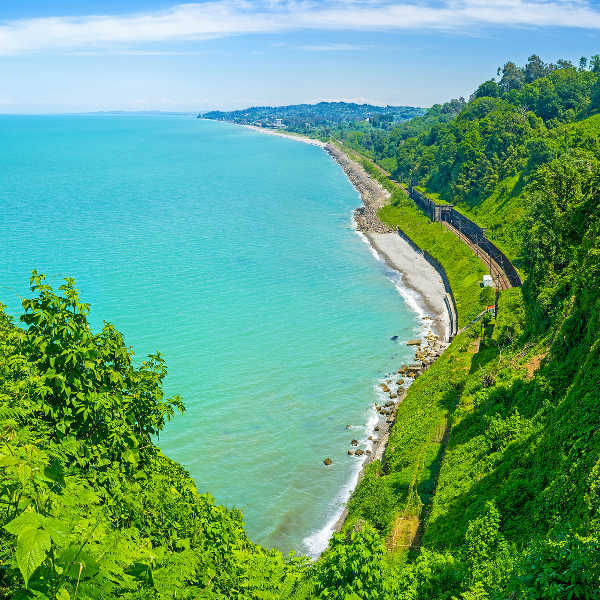 From beaches to waterfalls, Batumi’s natural aesthetic soothes the soul! 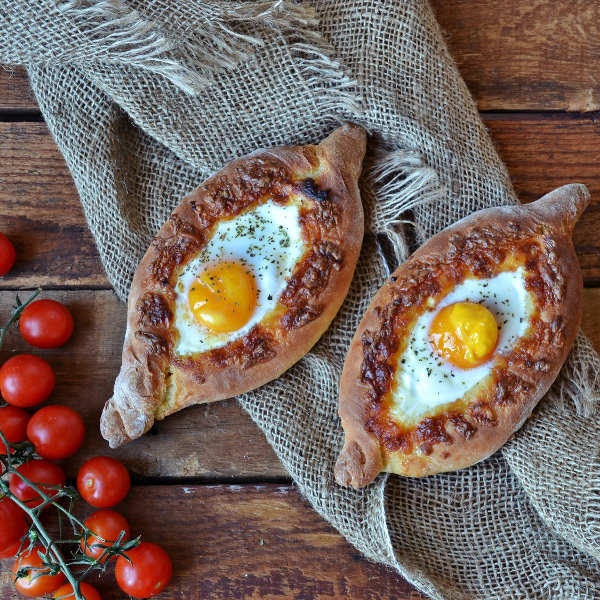 Get the best of Adjarian cuisine with dishes such as chirbuli, borano and sinori. For those with a sweet tooth, delve into sweet treats, including baklava and shakarlama (sugar pastry). Batumi has an oceanic climate throughout the year. The beginning of summer (May to June) is a wonderful time to explore the city. The best months to enjoy the beaches are July and August. The spectacular Black Jazz Festival takes place in July, it is a great reason to make your way to the city. For cheap flights to Batumi, visit during the months of April to May, as the rainy weather sets in. It is an opportunity to avoid the crowds and you can enjoy the city in a much more peaceful way. Dubbed Georgia’s summer holiday capital, Batumi, is nestled on the coast of the Black Sea. This ancient Greek colony, a Roman port and the fought of many battles throughout ancient history. Batumi is a city with incredible tales of years past and today it is Georgia’s main port. Bask in the beautiful ambience of the city. It has undergone drastic development, with new buildings being added to improve the aesthetic of this profound city. Batumi still ensures that it remains honest to its roots. This destination is designed for blissful walks as you encounter its serene walks in the Batumi Boulevard. Incredible viewpoints lay calmly in the distance waiting for its picture to be taken. Batumi is a year-round gem of a destination to visit, from snow to springtime blossoms, you are truly in for a remarkable treat. For a panoramic view of the city, be sure to take a ride on the city’s Argo cable car, it affords unique views of the cityscape. This Georgian holiday paradise will afford a once in a lifetime experience. Compare several airlines and book your cheap flights to Batumi online at Travelstart! Travellers are advised to get vaccinations for hepatitis A and typhoid, as well as medication for travellers’ diahorrea. You must be up-to-date with all routine vaccinations before travelling to Batumi. These vaccines include measles-mumps-rubella (MMR), diptheria-tetanus and polio (DTP). Batumi is a safe city to tour. There are, however, some precautions to consider. You should avoid flagging down taxis in the street, at night. Avoid travelling alone in unfamiliar areas. It is wise to keep your cellphone charged and with you at all times. Be wary of pickpocketing in crowded spaces. Do not flash your jewellery and electronics in public.